Grand Bahama Island has an interesting mix of accommodations both in the main tourist area and in more secluded parts of the island. 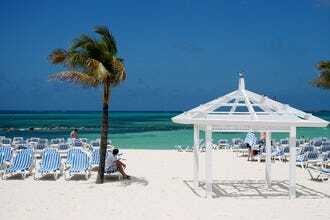 Port Lucaya is the main hub, and several beach hotels are available with easy access to the shops and restaurants. However, these are often larger than some of the other hotels on the island, so you'll have to share it with a few hundred other people. Memories and Grand Lucayan are two of the big names in this area that offer the iconic beachfront experience with on-site restaurants, watersports at your doorstep, and plenty of pool bars. 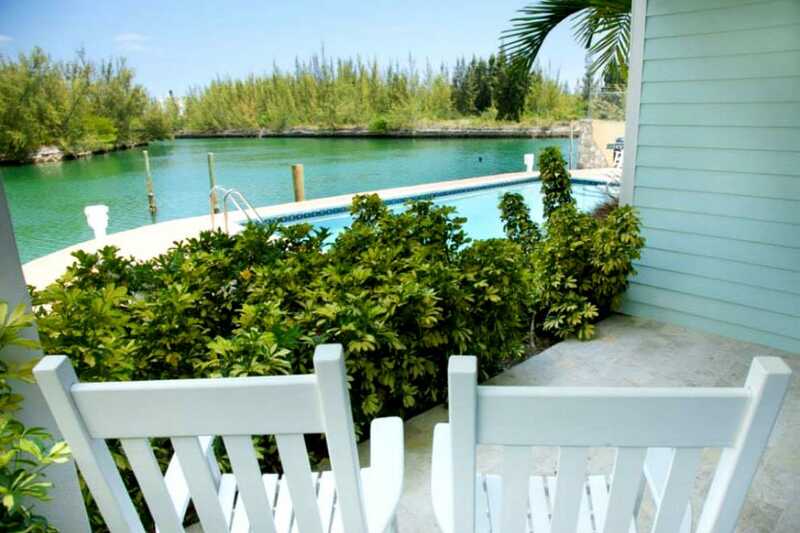 Or, if you'd prefer something a bit more intimate for your Bahamas vacation, Old Bahama Bay is a luxury beachfront resort on the far-removed West End with easy access to many eco adventures. 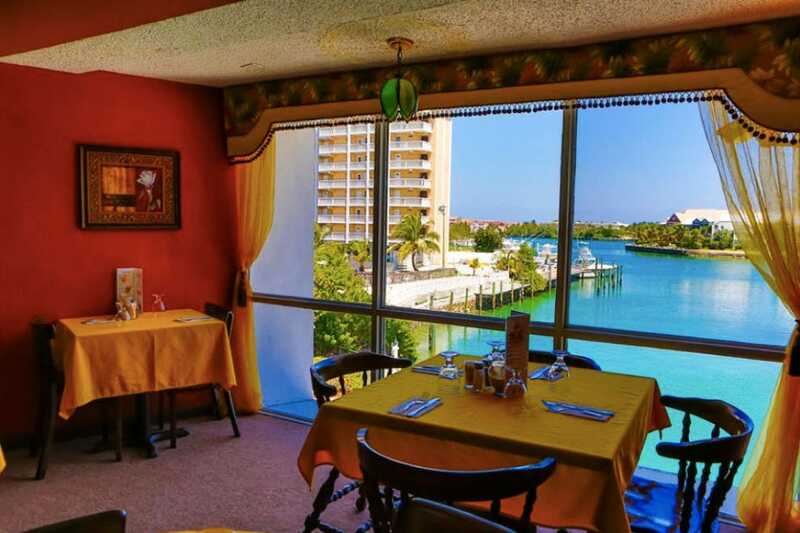 Divers can check out the Bell Channel Inn, with dive packages bookable through the hotel itself, or for vacation rentals, Dolphin Cove offers a home-like experience away from the crowded hotels but close enough that you won't miss the action. The editors at 10best have selected a mix of mega resorts and small properties both on an off the beach to help make choosing a hotel on Grand Bahama Island a little easier. This vacation-rental style property offers beautiful one, and two-bedroom suites that feel like a home away from home. Kitchen and dining areas are cheerfully decorated, and baths and living areas feature modern amenities and decor. Dolphin Cove is about a mile and a half from Port Lucaya on the water (but not on the beach). 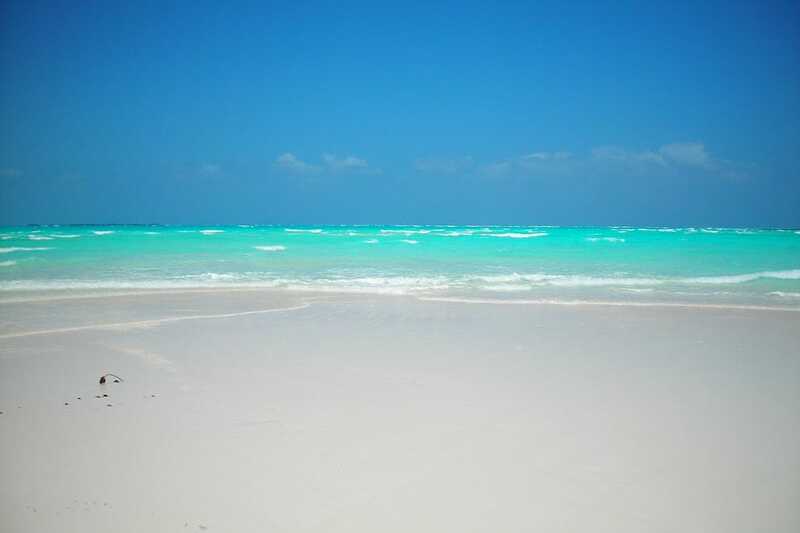 However, the soft white sand of Coral Beach is about a 15-minute walk away. The Clubhouse serves up pizza, breakfast items ranging from American classics to Bahamaian favorites, and pastries - prepared with herbs and spices from their own garden. There's also a marina on site for those who arrive by boat. 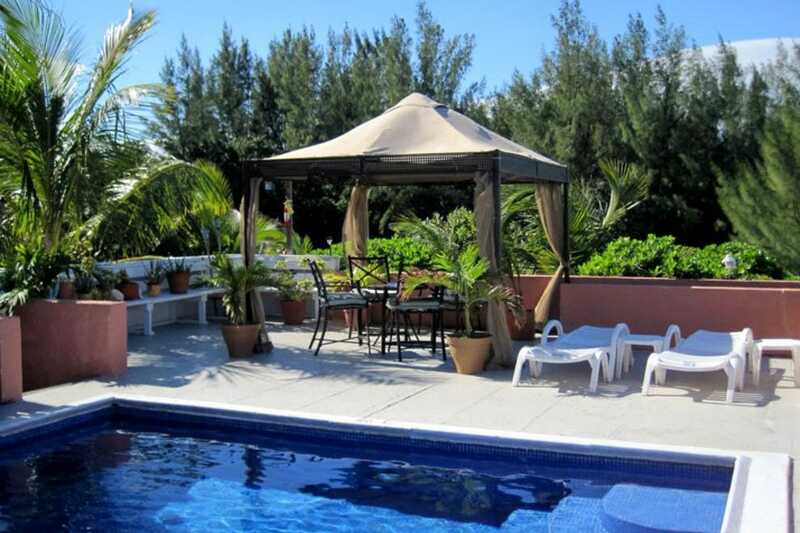 This 485-room, eco-certified, all-inclusive resort is located in the central area of Port Lucaya - right on the beach. Rates include unlimited meals, beverages, green fees at a local golf club, non-motorized water sports, and kids adventure program with a separate teen's lounge and scheduled activities for little ones. The resort features four restaurants ranging from Italian to Japanese and six bars for dining and relaxing on the beach with gorgeous water views. There's also a beautiful pool area with lounge chairs to catch some rays. Spacious, well-appointed rooms have Bluetooth audio stations, USB recharge stations, free Wi-Fi, coffee makers, and mini bars (restocked daily). Set away from the tourism zone on the distant West End, this hotel is geared toward those seeking a secluded getaway. There's even a private West End airport with a paved runway and a 72-slip marina available. Known for its natural beauty, many eco tourism attractions can be found on this side of the island, as well as snorkeling, bird watching, and dolphin spotting. The all-suite hotel features British colonial charm, with suites ranging from 550 square feet to 1,250 with marble baths, whirlpool soaking tub, kitchenettes, and sitting areas. There's also a soft sand beach, and a dockside bar and grill. Flamingo Bay is located on the Bell Channel, 200 yards to the beach, minutes from downtown Freeport, and a five-minute scenic water taxi from the marina to Treasure Bay Casino and Port Lucaya Marketplace. The 64-room hotel has simple, but comfortable rooms with hints of Caribbean decor sprinkled in. Free parking, microwaves and refrigerators, and cooking utensils round out the in-room amenities. 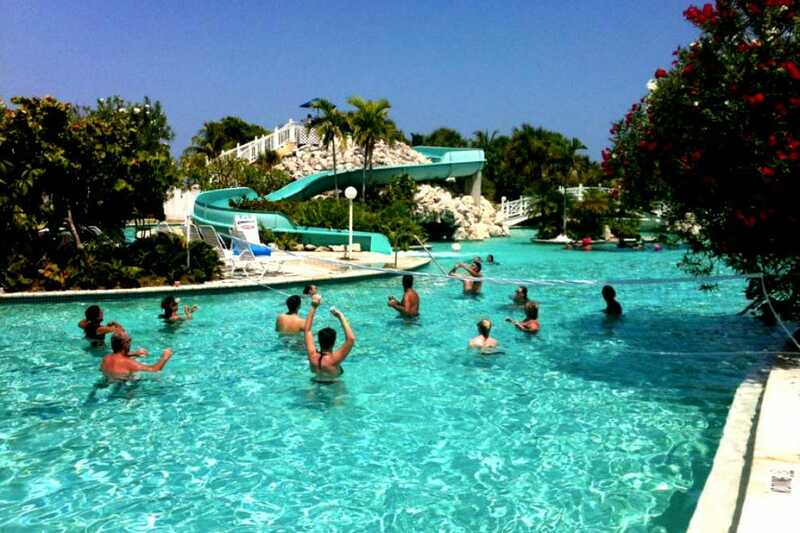 As an added bonus, guests have access to all the amenities at sister property, Taino Beach Resort, which include a massive pool, water slide, and swim-up pool bar - so they get two hotels for the price of one. 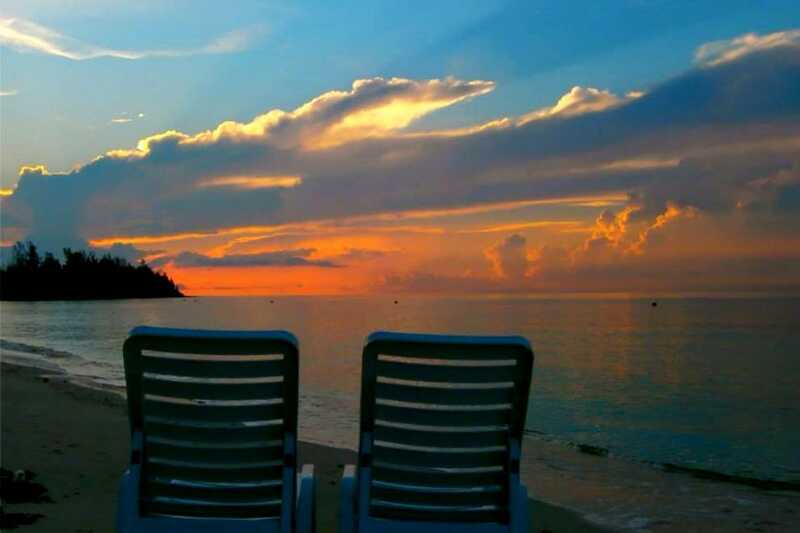 Coral Beach Hotel and Condominiums is a peaceful beachfront property that offers traditional hotel rentals as well as private condominiums that come fully equipped with furniture and kitchens. Hotel rooms include two double beds or one queen size bed, televisions, refrigerator and coffee maker, while condo rentals have full kitchens and two layout options. A pool bar serves up breakfast items as well as traditional American fare such as burgers, fish fry, and hot dogs, plus Bahamian favorites like conch fritters and cracked conch. 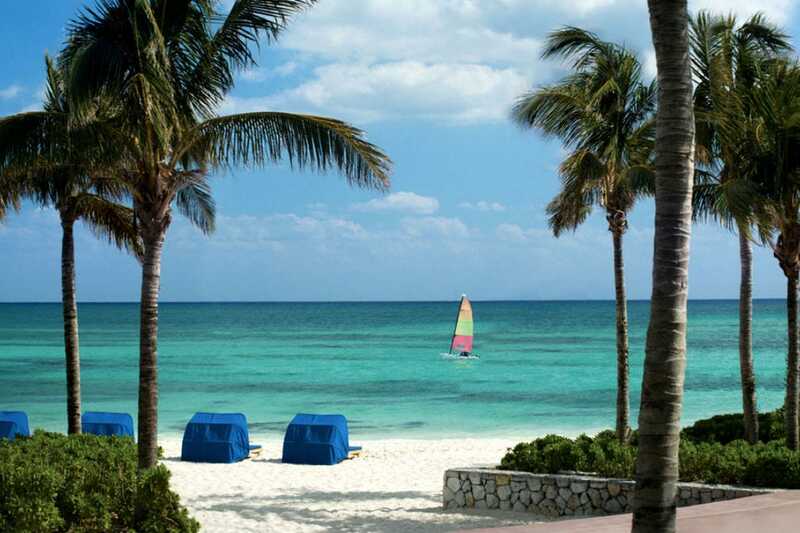 The hotel is located just over a mile away from the Port Lucaya Marketplace with parking options available. Located on a beautiful canal dotted with gorgeous homes, this hotel makes a great base for exploring. Room options include everything from standard hotel rooms to three bedroom condo-style suites. Accommodations include kitchens, front and back balconies, and ocean views. Suites also contain jet tubs, and most rooms include dishwashers (be sure to verify your room before booking). The quiet resort also features a pool and barbecue area, and is located a stone's throw from Xanadu Beach, just a short drive from two golf courses. This hotel is ideal for those who want to get away from the crowds: Port Lucaya is about 15 minutes drive time from the property. Fun and funky activities include a Bahamian night for a fashion show, dance lessons, all you can drink red and white wine, games, and prizes. Their famous beach bonfire showcases fire dancers, limbo, and plenty of rum punch. Accommodations are spread out in three different buildings, with the Marlin building being the newest (2009). 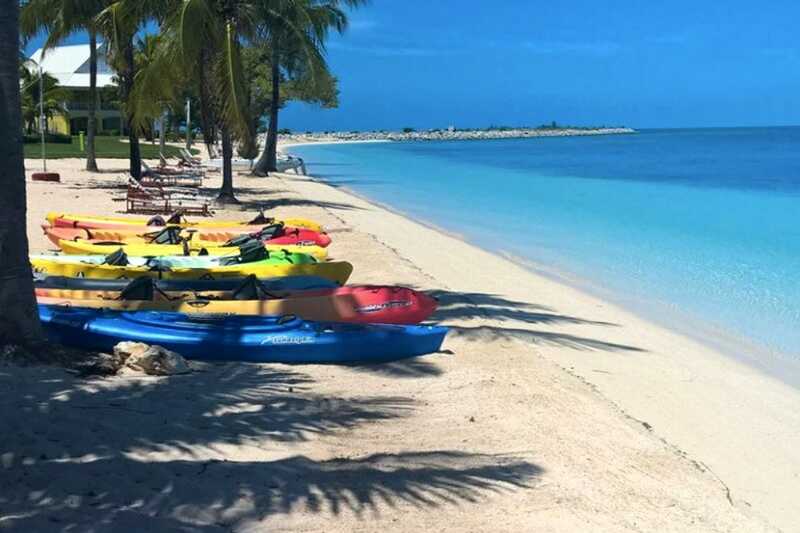 Wave runners, banana boats, kayaks, paddle boats, snorkeling gear, and fishing equipment can all be rented from the watersports center. A ferry transports guests to Port Lucaya, and there are also boat slips available for those arriving by sea. Rooms are ideal for families with full kitchens, separate master bedrooms and spacious patios. Divers flock to this 32-room hotel for its wallet-friendly rates and waterfront location that grants easy access to the underwater world. Rooms measure 400 square feet with either a patio or balcony overlooking Lucaya or leading to the pool deck. There's also a free beach shuttle, free parking, WiFi, in room massages, restaurant serving Bahamian and American fare, and bar with happy hour specials. Three dives are offered daily including shark dives, reef dives, and wrecks. The hotel is located about a mile from all the action of the Port Lucaya marketplace, and is sandwiched between two nearby golf courses. Located on the Bell Bay channel with a white sand beach located just across the street, Pelican Bay at Lucaya hotel puts visitors in the heart of all the action. 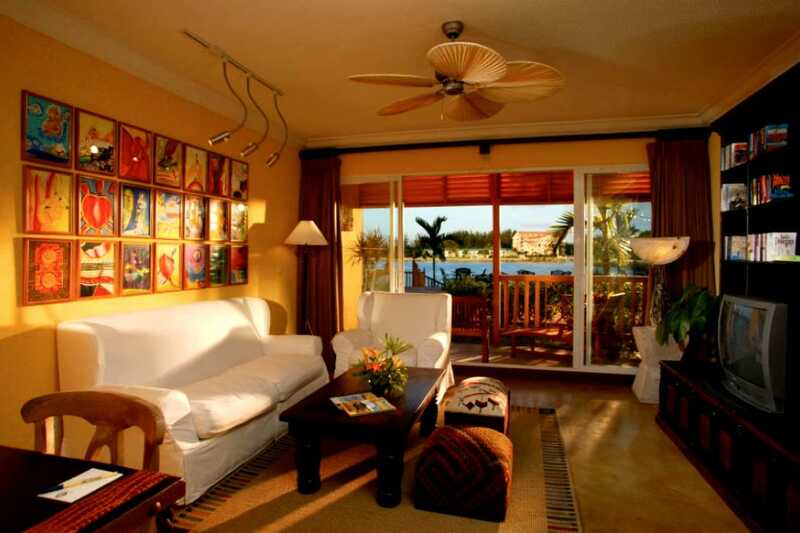 Sophisticated, European design meets colorful Bahamian decor and welcoming local staff members. Boasting 186 waterside rooms and spacious suites ranging from 640 to 750 square feet, Pelican Bay is a comfortable and convenient choice. Rooms include WiFi, private balconies, complimentary coffee and Nespresso machines, and refrigerators. Take a dip in one of three swimming pools, dine at Sabor, a top-rated tropical fusion restaurant, and stroll down to Port Lucaya Marketplace. 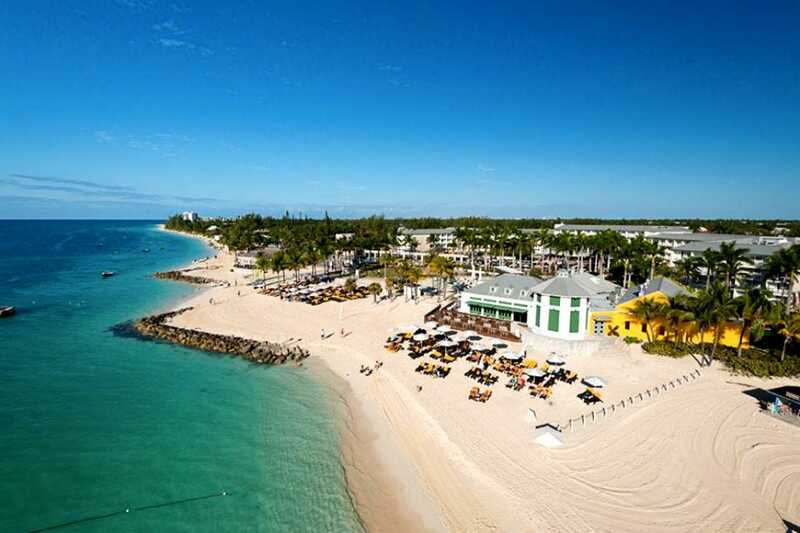 This sprawling, beachfront resort is a gem in the heart of Port Lucaya and is also a popular choice with Grand Celebration cruise line's cruise-and-stay option. All rooms include include a balcony or patio and a minimum of 350 square feet with fresh, modern decor and beautiful views of the hotel grounds and ocean. Take in a round of golf at the 18-hole, par-72 championship course, or melt stress away at the 25,000 square foot, oceanfront spa. Dining options range from casual, Caribbean dining at restaurants like Irie and the poolside cafe and bar, or fine dining with Mediterranean fare and Asian fusion at elegant venues.